Minnesota's weather has been a bit bizarre lately..but then again, its like this everywhere. All the gray skies are making me miss being by the ocean. 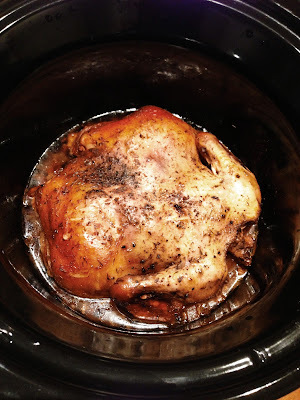 SO, with that being said, I made this lovely crock pot chicken that is absolutely delightful. It fills my taste buds with sunshine. Super simple, super tender, super delish. Mix the seasonings together. Wash and clean chicken, remove extra giblets if any. Pat dry and rub the chicken generously all over with the seasonings. Rub under skin and inside cavity. Mince garlic and rub the inside of the cavity with it. (If you don't have time to refrigerate it over night so the flavors seep in you can totally skip it) Chop your onions and place them on the bottom of your crock pot. 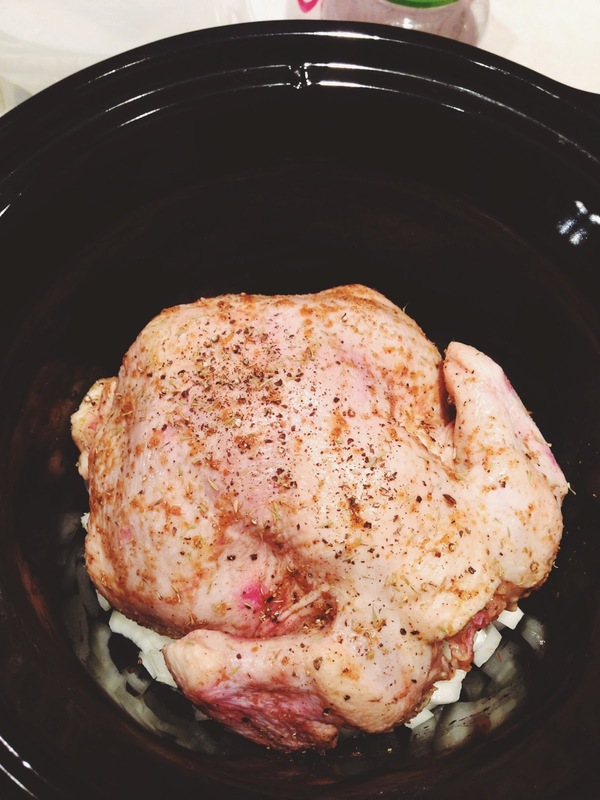 Set chicken on top and cover. Low for 6-8 hours or High for 4. Tweak the recipe however you like it.